Every year a new class of designers begin to rise through the ranks, showing the potential to change the way we look, dress and even think about clothes. As they jostle for space in a packed and competitive scene, the bold new identities they create on the catwalks will determine their future success. Suno is one to watch this year, hailing from New York, the label was founded by Max Osterweis in 2008. The focus is on clothing structured specifically for women, using inspiration from Kenya, India and Peru for a global perspective on cut and texture. They are hot on collaborations so look for gothic Pamela Love jewellery, nestling amongst the rich ethnic fabrics. The second set of much anticipated sneaker designs is revealed this year, each one being a limited edition. 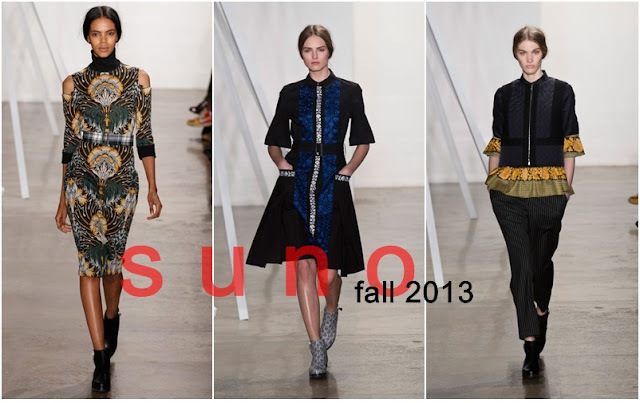 The 2013 collection is set to see Suno’s reputation sky rocket, as this collection comes of age in a big way. Dean Quinn hails from Northern Ireland, he spent hours of his childhood designing elaborate gowns for Disney princesses and wondering why his mother never wore them. Those sketches are now the essence of his style code. After graduating, he spent time at Zandra Rhodes and Versace before heading to the States to go it alone. The sheer silken elegance of his collection is stunning, making his fantasy gowns a must for all women who enjoy looking like a cool princess. His colours are bold and his passion for embellishment has won him legions of A-list fans; expect great things for the 2013 season. This brand spanking new Parisian label has become a symbol of all that is cool and unconventional in fashion. Each x Other uses androgyny as a touch stone, proposing an entire wardrobe fit for either men or women. The brand is a project collaborated on by a number of like minded souls, fusing the sensibilities of filmmakers, poets and artists to produce a largely monochrome collection, spiked with splashes of riotous colour. The Each x Other community brings an art house perspective to the fickle world of fashion, producing one of the hippest collections around. 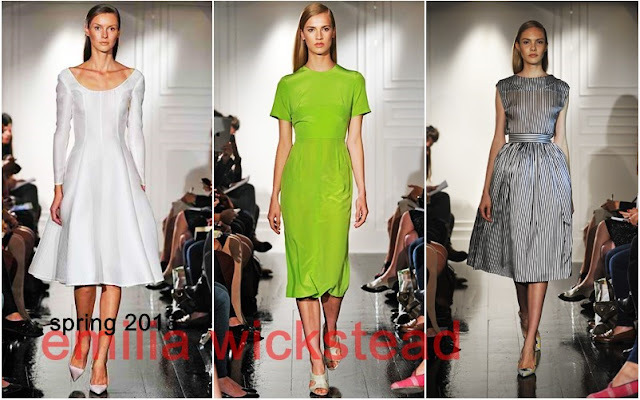 Emilia Wickstead learnt her trade at Central St. Martins in London before exploring the studios of designers in Milan and New York for inspiration. Her tea dresses and classic cuts, speak of a quintessential English style, laced with enough knowing charm to turn heads. Reports of empty seats at last year’s show are likely to be a thing of the past. Recently, her clothing has been repeatedly thrust into the limelight by famous fans that prefer a more demure look. Emilia’s most famous wearers are the Duchess of Cambridge and Samantha Cameron, attracted to the timeless grace and elegance of the collection. 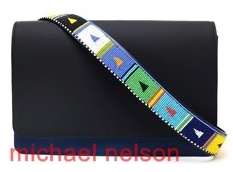 This handbag designer is a true world player, combining the ancient traditions of Nairobi bead workers with Italian leather. The ensemble piece is then brought together and completed by craftspeople in New York. His work is as unique as its history would suggest, imbued with delicate flashes of multicultural beauty. The collection is debuting in its entirety for 2013. Catch the show and wait for when he goes global, and then tell your friends you knew him before the fame! 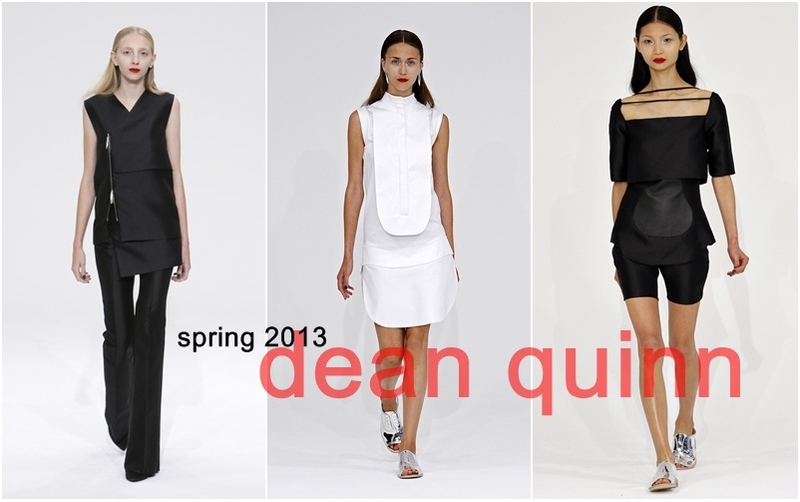 In their 2013 collections designers are gearing up to surprise and delight us, style gurus will be spoilt for choice at the sheer scale of young talent on display.